Lamed Lamed Hey is my contribution to the Chorus 72 project - a series of 72 choral pieces by 72 composers, each inspired by a panel of Ranier Gross's painting "72 Names." 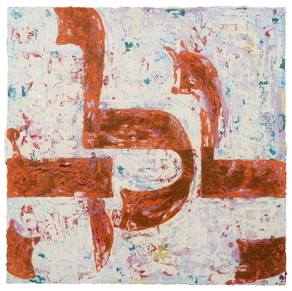 The 72 panels - each a painting of a sequence of three Hebrew letters - depict the 72 Names of God from the Kabbalah. premiere: September 24, 2018, Wayne, NJ; William Paterson University New Music Series; CompCord Chorus, Peter Jarvis - conductor.